Holy Boss. Photo courtesy of Anchor & Hope Farm. There’s no question that Holy Boss was fast. The six-year-old son of Street Boss won four stakes, including the Grade 2 Amsterdam, and earned more than $750,000 in a career in which he butted heads against some of the top sprinters in the country. In the 2015 Breeders’ Cup Sprint, he led early and persevered to finish fourth, beaten less than four lengths by Runhappy. In the next year’s Grade 1 Alfred G. Vanderbilt Stakes at Saratoga, he was a clear second behind A. P. Indian, who covered the six-furlong distance in a blazing 1:08.25, just shy of Speightstown’s track record. But, says Louis Merryman, there’s a lot more to like in the new sire than just his race record. Merryman stands Holy Boss on his Anchor and Hope Farm in Port Deposit, MD, where Holy Boss joins Bourbon Courage and Imagining. For one thing, there are his looks. He stands nearly 16.3 hands, and while he was, as Merryman points out, an “incredibly fast” sprinter and a precocious sort who broke his maiden by 10 lengths at first asking in September of his two-year-old season, his body type suggests something else. Even more impressive, though, is Holy Boss’s family background. “I think people who pay attention to pedigree really like this horse,” Merryman comments. From top to bottom, Holy Boss’s pedigree is dotted with black type winners and major producers. 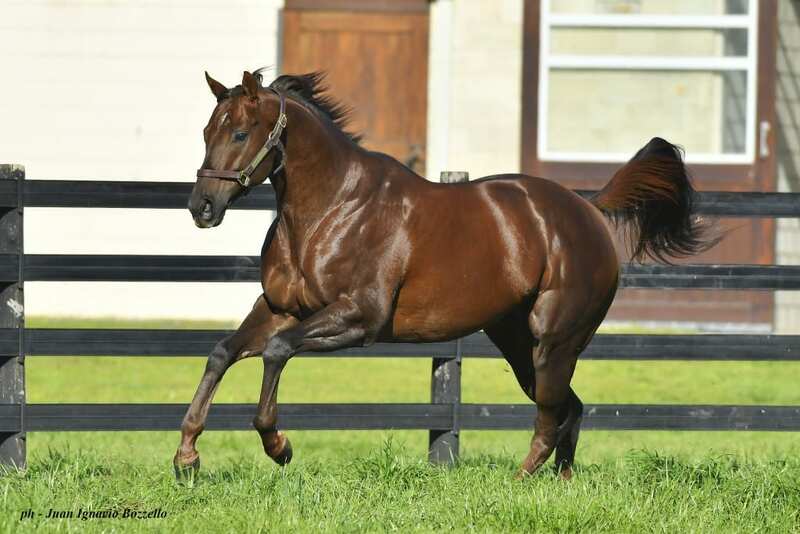 He is by Street Boss, the speedy son of Street Cry who has turned into an ultra-productive, if underrated, sire – and one known for improving his mares. 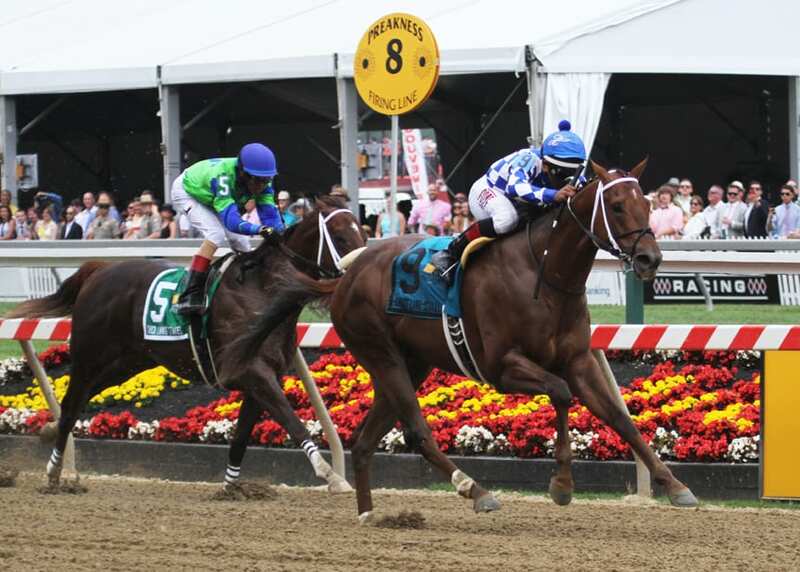 Holy Boss won the 2015 Chick Lang Stakes at PImlico. Photo by Laurie Asseo. He is out of the Holy Bull mare Holy Grace. That makes him a half-brother to Holy Helena, who is now a three-time stakes winner after her score in the Grade 3 The Very One at Gulfstream Park on March 3. Among Holy Helena’s other wins was a victory against the boys in perhaps Canada’s most prestigious race, the $1 million Queen’s Plate. The strength of the pedigree goes much deeper than the first dam, however. Each of his first four dams has produced multiple stakes winners. Fourth dam Missy Baba – a major matriarch – produced no fewer than six stakes winners. Among those was the speedy sprinter Raja Baba, who went on to become the leading sire in the United States. It also includes Lassie Dear, a stakes winner whose offspring included Weekend Surprise, dam of uber-sire A. P. Indy. “It’s a very thick pedigree with a lot of real quality,” says Merryman. That combination of factors – a talented racer with good looks and a superior pedigree – is why Merryman says that demand for Holy Boss has been strong to date. Holy Boss stands for $4,000, with lifetime breeding rights available for just $9,000. Lifetime breeding rights grant the holder two seasons for each of Holy Boss’s first four years at stud and one season thereafter. Anchor and Hope is also selling ownership shares in Holy Boss.